Fightback is running a series of articles on the housing crisis in Aotearoa/NZ. Ian Anderson (Whanganui-a-Tara/Wellington) and Bronwen Beechey (Tamaki Makaurau/Auckland) examine the centre-left focus on foreign ownership, and argue rather that private capitalist ownership is the problem. For more on the housing crisis, see Urban Housing is an Ecosocialist Issue, Housing Under Neoliberalism, Desperate people: Christchurch’s Slum Dwellers, or Living Outside the Rainbow: Queerness and the Housing Crisis. 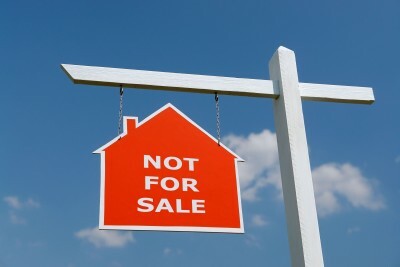 Bankers warned early this year of a drop in property prices; a bust to follow the boom. It would be overconfident to pick an exact date. But when (rather than if) the crash comes, we need to understand the fundamental problem if we can hope to address it. One narrative places the blame on foreigners. The New Zealand Labour Party recently threatened to bar non-residents from buying existing residential homes. Strangely, Australian investors were excluded; if speculation is the problem, why not restrict all investors? Labour’s policy is symptomatic of a general tendency to scapegoat foreigners (particularly Asians) for deeper economic problems. Local investors still routinely donate to the Labour Party; foreigners are easier to blame. Another form of scapegoating blames immigration itself for the housing shortage. A number of letters to the editor in the mainstream press have suggested that migration be reduced or halted until the housing shortage is remedied. This generalised anti-foreign sentiment obscures class divisions. A “non-resident” may be an economic migrant, moving to New Zealand for work, not yet past the red tape of legal residency, and trying, along with other low-income earners, to find affordable accommodation while facing the additional burden of discrimination by landlords. As Labour indicates, “non-residents” may also be overseas property speculators with no plan to live here. Locals also speculate on the housing market, gambling with houses they never plan to live in. Depending on who you listen to, foreign buyers own around 4% (according to property investor Peter Thompson) or 7-10% (according to former Labour leader David Shearer) of homes in Aotearoa/NZ. This is less than a quarter of all homes owned by non-occupiers; around 40% and counting according to Statistics NZ. Capitalist private property means that the ‘value’ of houses can be anonymously exchanged, sold on for personal gain. Marxists call this the contradiction between ‘use value’ (a place to stay) and ‘exchange value’ (a property to sell). Although house prices are partly a problem of supply and demand, there are by most estimates more empty houses than homeless people; the drive for profit is the fundamental problem. When the system of exchange is relatively simple, the personal knowledge and trust of individual capitalists may guarantee the quality of debts incurred, but in a complex market system this cannot form an adequate foundation for the credit system. The bank seeks to institutionalize what was before a matter of personal trust and credibility (David Harvey, The Limits to Capital). Banks and financial institutions must also make a profit – which means interest, predatory lending, speculation, incentives to gamble with workers’ lives as poker chips. Trade in houses as commodities undermines the right to affordable housing, driving further extension of credit. Debt operates as a form of social pacification for an anxious middle class operating on a speculative bubble (Joel Cosgrove, Housing Under Neoliberalism). Ninety per cent of private debt is in housing. Alongside proposing barring non-residents from buying houses, Labour also proposed a Capital Gains Tax. As a direct tax on profiteering, this is a better policy than xenophobic scapegoating. That said, many countries, including the US and UK, already have a Capital Gains Tax – speculation and property booms still run rampant. Market mechanisms cannot address a problem produced by the market. Only strict restrictions on market activity, combined with a democratically planned expansion of public housing, can begin to address the root of the crisis. Capitalist parties will not grant this willingly. you can’t say that’s it not a part of the problem though.Foreign owners and other investors buying up properties for rental profiteering, pushing up house prices & rent, reducing supply, plus the fact that unrestricted/unregulated immigration pushes up the population causing strain on infrastructure, pollution and ecological/environmental degradation. You can’t buy into the capitalist ethos of growth, growth, growth. Housing costs are the result of many things but I can’t imagine captain cook sailing up to NZ to see people with no whare sitting under an upturned waka because the people lacked the resources to build houses and hoping if only more people turned up the economy would grow enough to build a new whare and the extra ones for the new people. This could be a long post but here goes. The major cause of the rising cost of housing is money how it’s made, where it’s made and why it’s made. Almost all the money in the world has been loaned into existence so for it to exist someone somewhere has to get into debt and bingo money is created. In New Zealand 80% of the money in circulation has been created by the banks in NZ through debt. Now debt money has a special feature that other money like gold doesn’t have, it is created out of nothing and when the debt is paid it disappears so if we New Zealanders paid off all our debt 80% of the money would disappear out of the economy our economy would collapse. Also because it is must be paid back with interest and can only be paid back with money generated by debt more money must be generated by more debt than the original amount due to interest so for the system to work the total debt in the system must increase at a rate of about 3-4% a year. Now to housing, the reserve bank regulates banks and what it considers best practice. It believes that house mortgages are the safest form of debt to be held by banks and for the economy because a debt based money system works best if the debt is big and takes a long time to pay down. What this means is that at the heart of our economy is a system that requires mortgages that must get bigger year on year. Of course this can’t go on for ever so this is why we have a reserve bank that has a mandated target of 2% inflation per year in the hope that the inflation works to devalue the very money in the system and so too the debt. In a closed system this might work but in a global system where wages are arbitraged to the lowest country wages in NZ don’t match the 2% inflation. So what this leads to is the constant pressure on banks to loan for housing so money is poured into housing at the same time as wages remain static so new ways are created to lend more money to people who work harder to borrow. All this is based on the idea that house prices can not drop and even though they will they can not because if the house price drops you end up with several bad things. 1/ Underwater mortgages which is people who owe more than the house is worth this leads to unhappy people often evicted who won’t vote for the government next time. 2/ less money needs to be borrowed to buy a house so less money goes into the economy which would lead to a recession requiring massive government debt or sale of things to overseas buyers. now number 2 of the above also happens when people can no longer borrow because the debt gets to high. You see someone has to get into debt to create the money for the economy and if it is not home owners then is must be the government, businesses or the money must come from overseas. It is no coincidence that the labour government paid down government debt from 1999 to 2007 because rising house prices and easy money allowed NZ household to borrow enough to keep the economy going. Unfortunately at about 2006-7 total debt reached 140% of income and borrowing stopped so the country went into a recession and the government had to borrow the money into existence now the government can’t do this for ever so the only way to generate cash without house hold debt is to import money from overseas. This is why the assets were sold and land and businesses are being sold to overseas people who can access debt at 0% interest like the japanese, europeans and americans also the other way is to import people who bring in cash so chinese and indian students who can migrate and bring in cash from home or can borrow here to generate money. Now this system must get bigger that is the constant growth model with the idea that we must grow the pie so everyone gets some but as I said at the start no maori were sitting homeless (slaves excluded) for lack of resource and that is what we run, a system that is one of scarcity in a world of waste. And one that can only grow or collapse not sustain it’s self at a constant. So to house our population we must grow our population as this is how we grow our economy and to grow our economy we must sell everything at ever growing amounts to pay our debts that must grow. It is the debt based money system that puts people in tents but allows us the ability to import bottled water from australia and 65 inch TVs for $800. We will die homeless in a pile of debt and garbage because we can’t see the problem in front of our eyes, the money we use. Never really answered why we have the waste and resources but can’t build houses for people. Because debt is needed to generate the money that moves through our economy we have two forces acting. 2/ is the need to drive down costs to pay the debt. The government is reluctant to build homes for it’s own people because to do so would require more debt which it could not get a money return on but the house price must increase and debt somewhere must increase to create the money for the economy. This explains why they will sell state houses simply to transfer debt to private hands. It is a one way death trip because it puts the economy or debt above all else this explains why I saw bottled water from australia and biscuits from south africa in the warehouse and why we export bottled water to australia, food to the world and logs while our children are hungry and homeless. we all need to export because we must pay off our debts. So when captain cook sailed in and people were all housed they did so because they didn’t need to pay off debt in the maori world people came first.